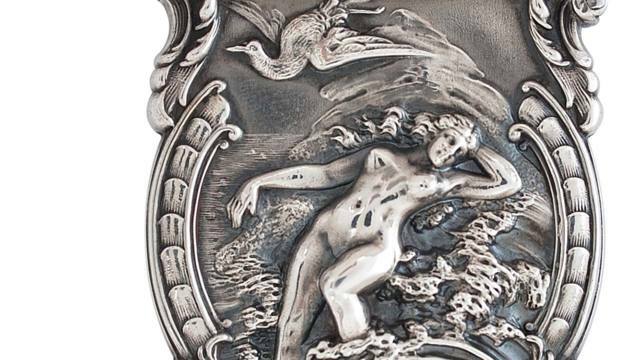 Cowan's Fine Silver: Discovery Auction features a rich assortment of sterling silver and coin silver from well-known makers including Tiffany & Co., Gorham, Kirk-Stieff and Duhme & Co. The sale features a variety of pieces including two early Tiffany sterling pieces, a fine collection of master salts, a grouping of American Aesthetic Movement sterling and a selection of silver match safes from the Collection of David and Holiday Winfield. There is no in-person bidding for this auction. Live online bidding will occur online at Cowan's Live, Bidsquare.com and LiveAuctioneers.com. You can register to phone bid on Cowan’s website or by calling 513-871-1670. Absentee bids will be accepted on Cowan’s website or through Bidsquare or LiveAuctioneers. There is no preview for this auction. If you would like to look at an item in person at Cowan's Cincinnati location, please contact the Fine and Decorative Art department to set up an appointment by emailing decarts@cowans.com with the lot number of the piece(s) you would like to examine. Appointment times are limited and will be granted on a first come, first serve basis.